One of the most important parts of selecting a two way radio is considering the features you require. Depending on your industry, as you establish your purchasing criteria, you may find that you need certified intrinsically safe radios for improved safety. Consumer demands are driving the economy to ever-increasing reliance on industry, and intrinsically safe technology is becoming more important and more prevalent. You owe it to yourself and your organization to find out more about intrinsically safe technology and determine whether or not it should be part of your 2 way radio purchase. By its very nature, every electronic device (radios included) carries an electrical charge. Because of that, it can create spark or heat – elements that can be extremely dangerous in many work environments. Intrinsically safe devices are designed to eliminate or strictly limit the amount of spark or heat they produce, allowing for their safe operation even in volatile situations. 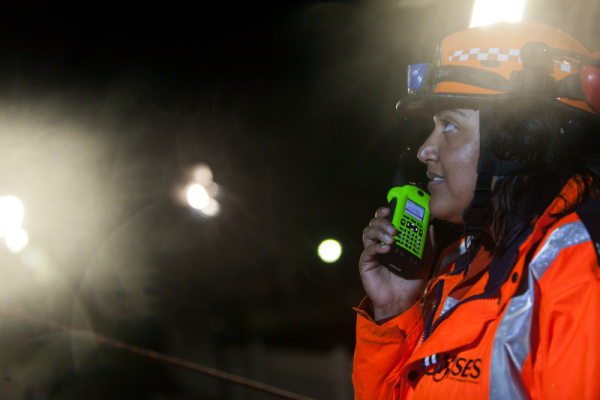 It isn’t only the most obvious situations, however, that call for the use of intrinsically safe radios. Sometimes we overlook potential hazards and assume our workplace is safer than it actually is. Making use of intrinsically safe technology can be one way to increase the level of safety in your organization without greatly increasing cost. You work in a facility where there is potentially combustible dust. This may include woodworking facilities, grain elevators, and some paper mills. You work at a refueling depot, these could include aircraft at airports, oil transportation facilities, or some shipping terminals. You work in the oil and gas industry. This includes but isn’t limited to being on oil or gas drilling platforms, terminals, refineries, and petrochemical plants. You work in a chemical plant or as part of a chemical disposal operation. You work in manufacturing of particular materials such as paint, pharmaceuticals, plastics or starches. You work as part of a HazMat team that maybe confronted with unexpected conditions. As a first responder – perhaps a paramedic, firefighter or police officer – and likely to be called upon to enter facilities like chemical plants or oil refineries. If any of these apply to you, when it comes time to make your purchase, be sure to select a radio that has been certified as intrinsically safe. Several agencies develop standards for intrinsic safety and evaluate products for their compliance. In North America, the Factory Mutual (FM) Research Corporation designates intrinsic safety; however, if you’re buying in Canada, be sure to choose a radio that has been approved by the Canadian Standards Association (CSA) as they set the required national standard. Nova Communications offers a variety of intrinsically safe Motorola two way radio options that meet CSA guidelines. To learn more about the options available, download the FREE Portable Two Way Radio Selection Guide.